"It's a good idea to test food from space before eating it. 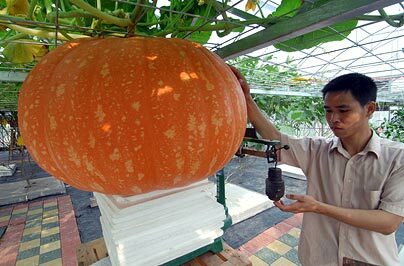 Giant space vegetables grown from seeds sent into space have been grown in China. 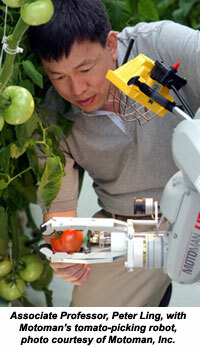 "Will we ever get to the point where there is so much food to eat in space that we will need robotic help in harvesting it?